Saudi Arabia has embarked on an ambitious economic transformation plan involving infrastructure projects worth billions of dollars, in areas ranging from housing to transport. But it has accumulated almost $60 billion of debt in just over two years, and that has not included financing linked to the infrastructure projects. In January last year, the country’s debt-management office said it had asked banks to submit proposals for potential financing backed by export-credit agencies (ECAs). Those agencies offer loan guarantees and sometimes financing to encourage trade and lower the costs of international business. Some Saudi entities have already used such financing. Aramco, the state-owned oil company, last year signed a $2 billion line of credit with UK Export Finance, the British ECA. But more than a year after requesting proposals, the government has not appointed a financial adviser, the sources said. Nor has it said what specific projects the financing would support. The debt management office did not respond to a request for comment. 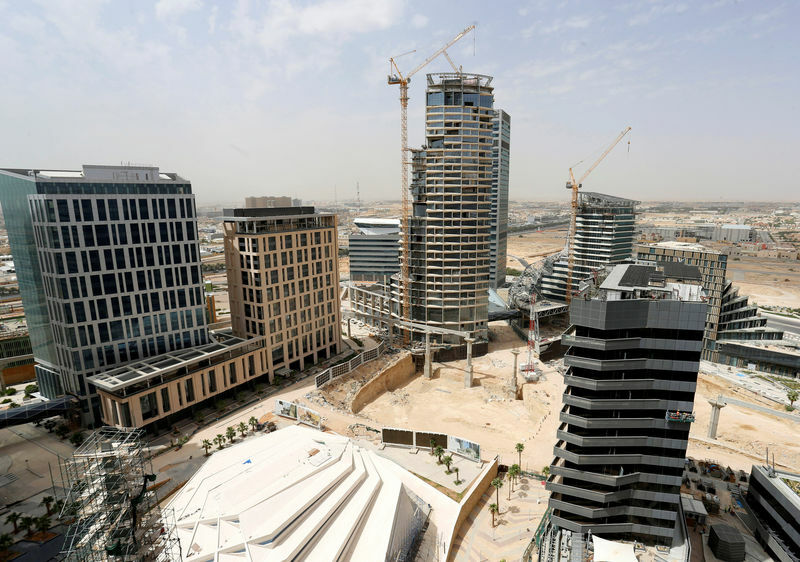 Saudi Arabia has spent billions of dollars on mega-projects over the past decades, but a slump in construction and delays in payments to contractors have stalled existing developments. At the same time, lower oil prices have squeezed the state budget. Work on King Abdullah Financial District, for example, a $10 billion project in Riyadh, began in 2006. But it has run into construction delays, cost overruns and doubts about an initial economic feasibility study. The kingdom said last month it planned to start developing the first area of NEOM, a high-tech $500 billion business zone, in the first quarter of 2019. ECA-backed financing could be useful for similar large projects requiring foreign equipment and contractors, as well as cheap debt financing over long periods, the sources said. But, they added, the government has not started talks yet on ECA-backed financing for NEOM. The government has taken some steps toward project funding. Last November, the debt management office appointed as a temporary adviser MUFG banker Hirofumi Sakioka, who is the deputy head of ECA Finance EMEA at MUFG Bank. The sources said his appointment was aimed at coordinating ECA financing requirements from various Saudi ministries. About two years ago, the government asked ministries to review billions of dollars’ worth of unfinished projects with a view to shelving or restructuring them. Many of the projects are relics of an era of high oil prices and lavish state spending, which ended when oil prices began to fall in mid-2014, making it increasingly difficult for Riyadh to find the money needed to complete them.